-Let's go back to the primitive Popynica and the PA series toys. 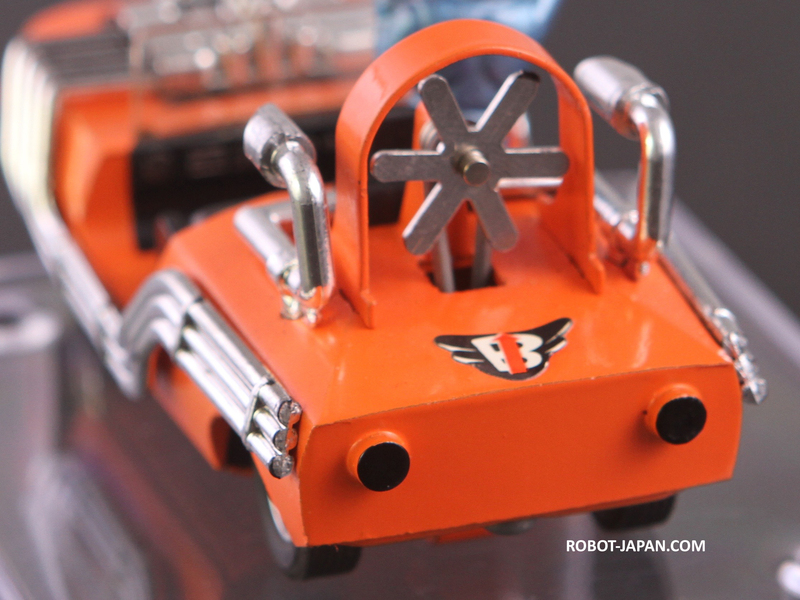 PA-02 is essentially a prototype toy of what, maybe, would come from Popy toys. 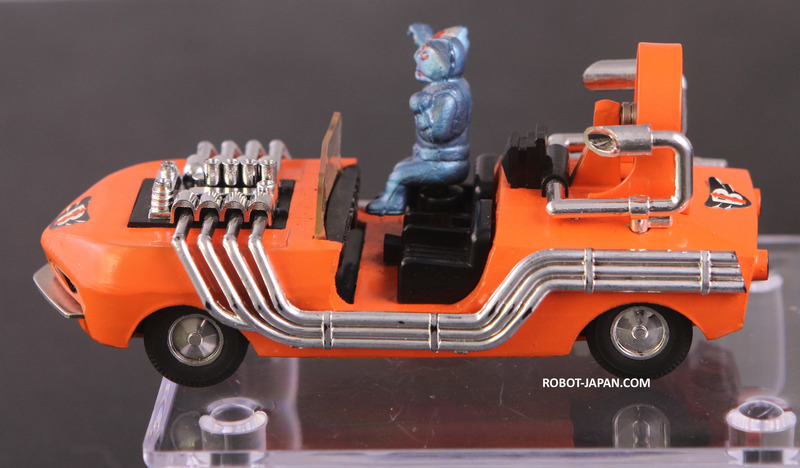 Bandai's new splinter group was just cutting their teeth in designs and with methods.... here we clearly have a Corgi Bond car inspired toy, yet O-so Japanese design. It only took me 20 years to track this down in the condition I wanted. It was a bit of a time capsule purchased directly from Japan and the wait has been worth it. 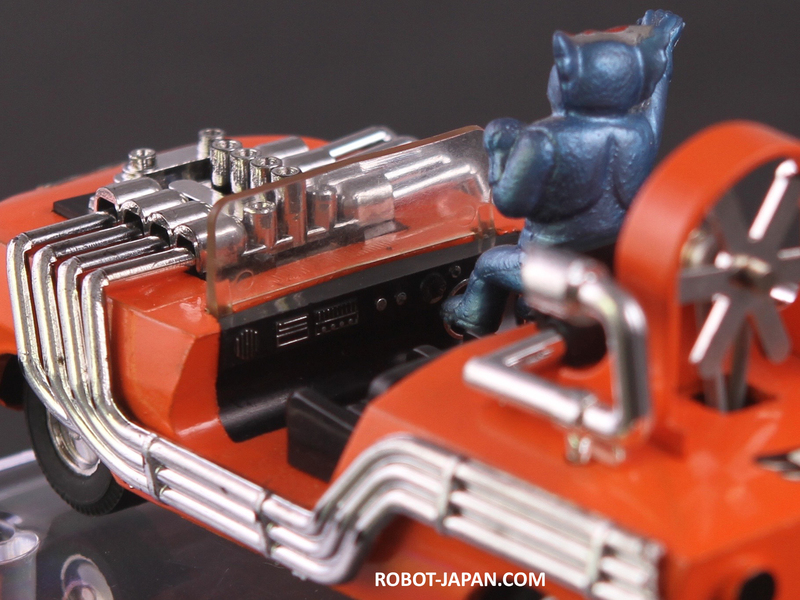 The toy features a ton of chrome plating, then a Bond-like ejecting driver. Hit the car's front bumper and Barom 1 ejects. Roll the wheels and the gearing causes the rear fan to turn. 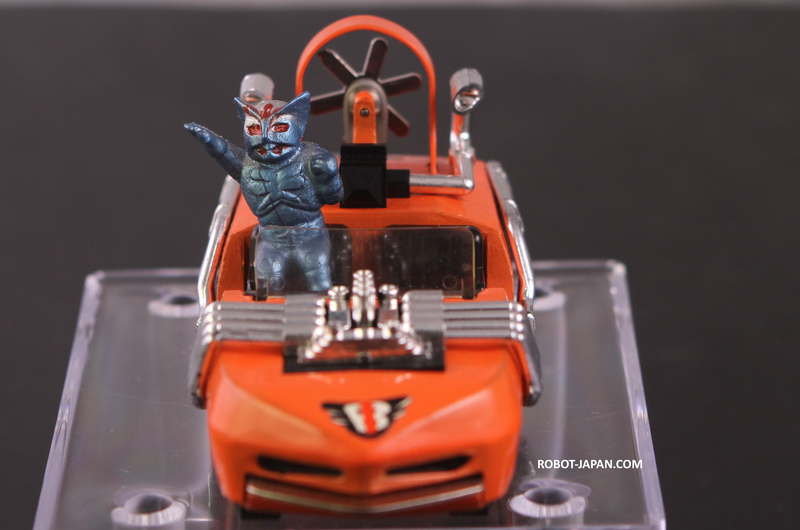 Sweet 70's toy fun. With this preserved toy i've been extra carful to not stretch the fan belt. As I look closely at the dash board, I see a bit of dry brushing to bring out the instrument cluster. -A very nice touch, and I'm wondering if I see an 8-track or a bad-guy tracker :). It may not be high on your list, as Barom 1 is a more obscure character now. However I highly recommend tracking down this creamcicle colored diecast. The size is small, but the amount of hand detailing is exceptional. It is a golden age diecast that won't disappoint.